Are these colors as they would have originally appeared? These colors are in very good balance, and show a close palette to how they originally would have appeared. However, time and the elements have certainly darkened the colors a little. And, the addition of beeswax, often used by the artisans to preserve the painting pigments, would also have darkened the colors over time. 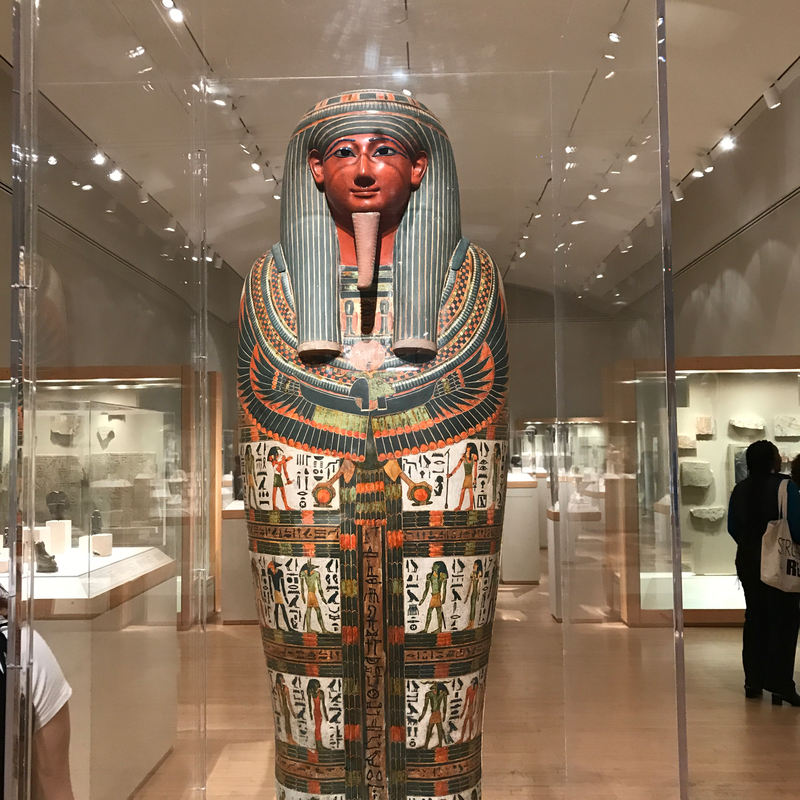 As you move around the Egyptian galleries you'll see many reliefs and sculptures that originally were painted in bright colors and on some the faintest trace of pigment still appears. It's nice to imagine how colorful and bright the temples and tombs used to be. 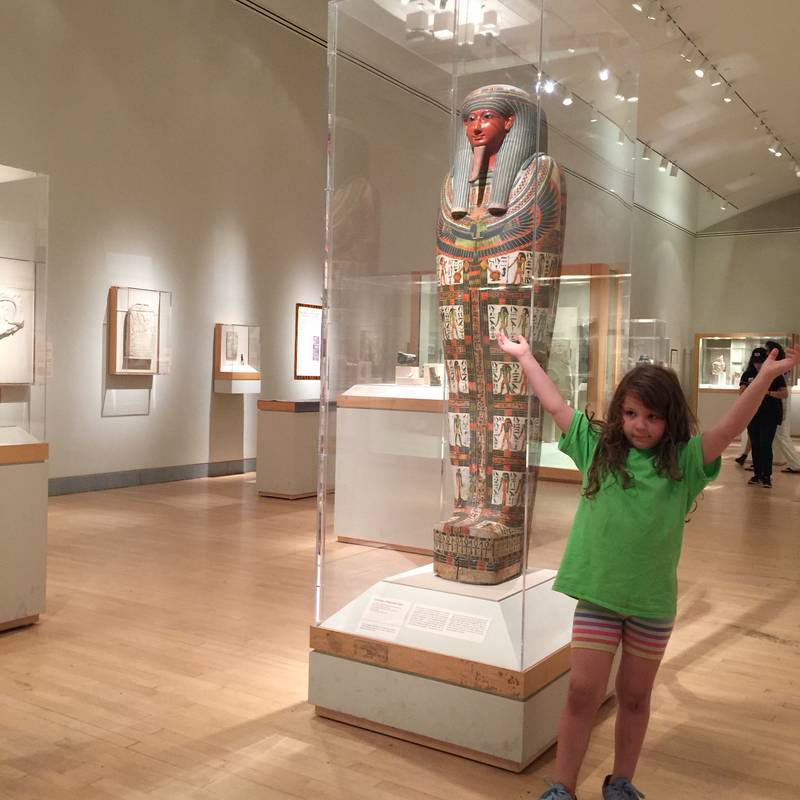 That's one of the stars of the Egyptian galleries! The colors are pretty true to their original state -- although they have darkened a bit over time. Most of this cartonnage is made from a mix of linen and paper, but the eyes are crafted from precious stones! Are these the original colors? If so, how are they so well preserved? Yes and no, the color balance on this cartonnage is in great condition. However, over time the colors have darkened. 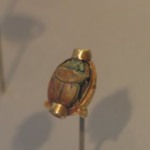 Sometimes the paint would be covered in beeswax for preservation, which would also alter the color over time. 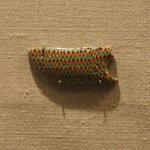 That piece, however, is surprisingly well-preserved and the color is still fairly vibrant indicating that it was well protected from the elements and light damage. 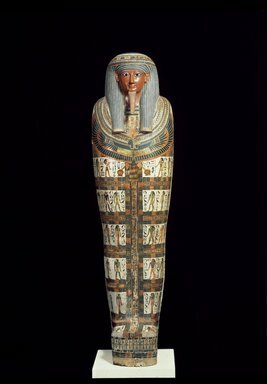 A cartonnage like this would have been sealed in a dark tomb which, coupled with Egypt's dry climate, helped to preserve the pigment you see. 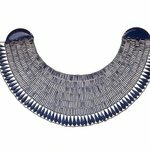 Exactly where is the collar that is discussed in discription below? The collar you're referring to is like a broad necklace. 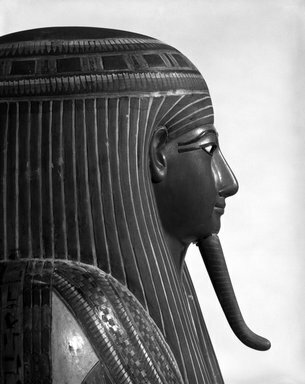 The area from Nespanetjernepere's neck to the top of the winged-ram deity, underneath the wig, is all the wesekh collar. 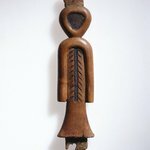 Could you tell me the stories or meaning of the patterns on it? 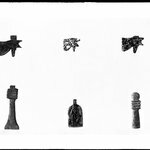 Are these art works the original pieces? 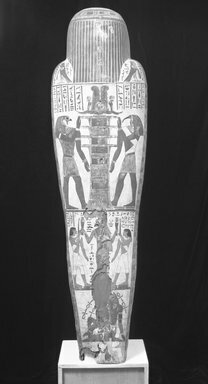 The Cartonnage of Nespanetjerenpere served to identify, protect, and transform the priest assisting in his journey from the world of the living into the world of the dead. Some of the deities represented are Anubis the jackal-headed god of mummification and the journey to Duat; Thoth the ibis-headed god of wisdom and literacy; Horus the falcon-headed god connected to the living pharaoh; Re the falcon-headed sun god; Khnum the ram-headed creator god (a winged Khnum is spread across the chest of the container protecting the heart and soul of the deceased). 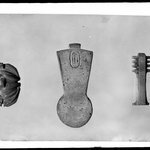 All of these objects are original unless otherwise noted. 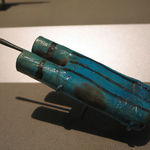 Egypt's dry climate and the dark tombs many of these objects were found in helped preserve them. I was wondering the name of some of these gods in this picture. 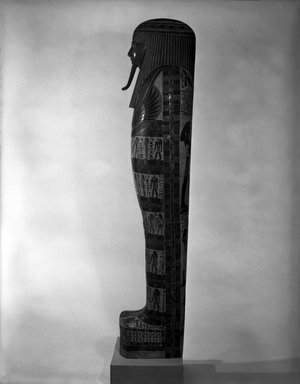 Anubis is one who is easy to recognize, he has the head of a jackal. 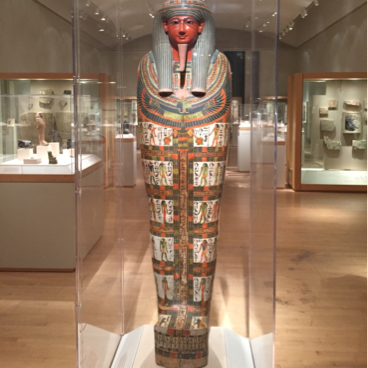 He's the god of mummification and the journey to the underworld. 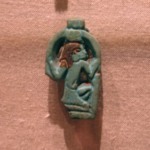 The man with the head of an ibis is Thoth, he is the god of wisdom, knowledge, and writing. 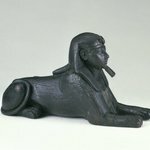 In your photo, you can see the feet of a winged, ram-headed god spread across the chest as well, that's Khnum, a creator god. Where was this found and who was it made for originally? This was made for Nespanetjerenpere. 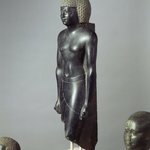 He was a god-father of Amun, one of those priests who were free to enter the deepest and most sacred parts of the temple. 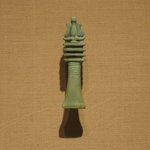 He had been a prophet of Amun of Karnak for a time. Seems like it was sized for a child. 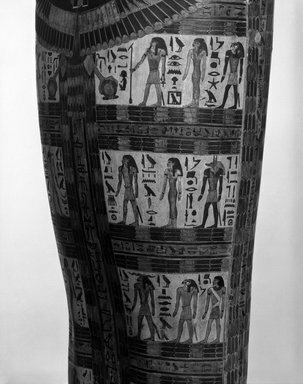 The Cartonnage of Nespanetjerenpere is a beautiful example of a decorated body container from the later periods of ancient Egypt. The physical structure protected the mummy of Nespanetjerenpere, who was a high-ranking priest, and the deities that cover the cartonnage were also there to protect the mummy on a symbolic level. 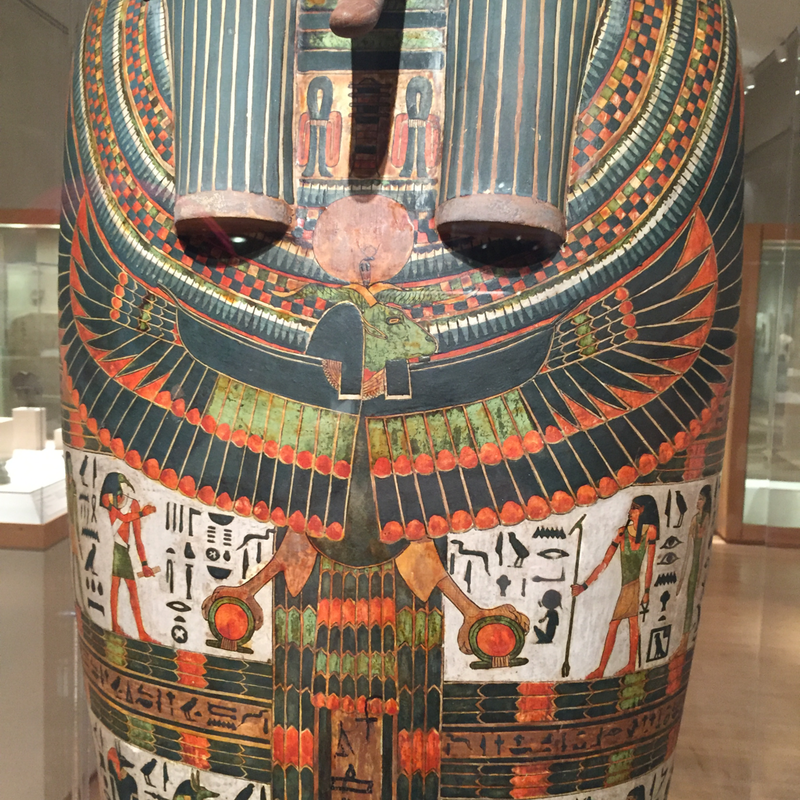 This type of container served to identify, protect, and transform the deceased assisting in their journey from the world of the living into the world of the dead. You can even see two images of the deceased on the back. 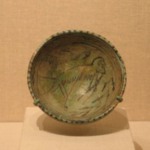 He is shown receiving life-giving water from a goddess. 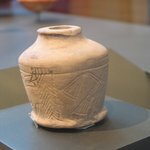 What is the Cartonnage of Nespanetjerenpare made out of? 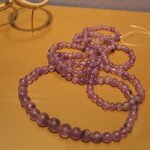 The material itself is called cartonnage. It is a mixture of linen and plaster that is then painted. It's very similar to papier mache. 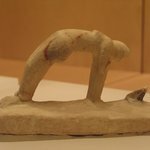 This example shows what a durable material it can be! It's in remarkable condition! How do you pronounce Nespanenetjerenpere? Try breaking up the syllables like this: Nes-pa-netjer-en-pe-re! Eagle and goat? What is this? 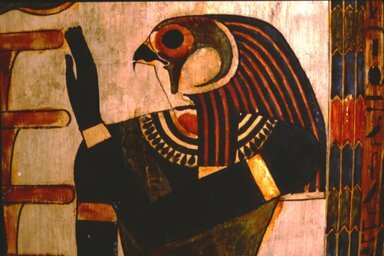 This is a depiction of the Egyptian god Khum, a creator god with the head of a ram and the body of a vulture. 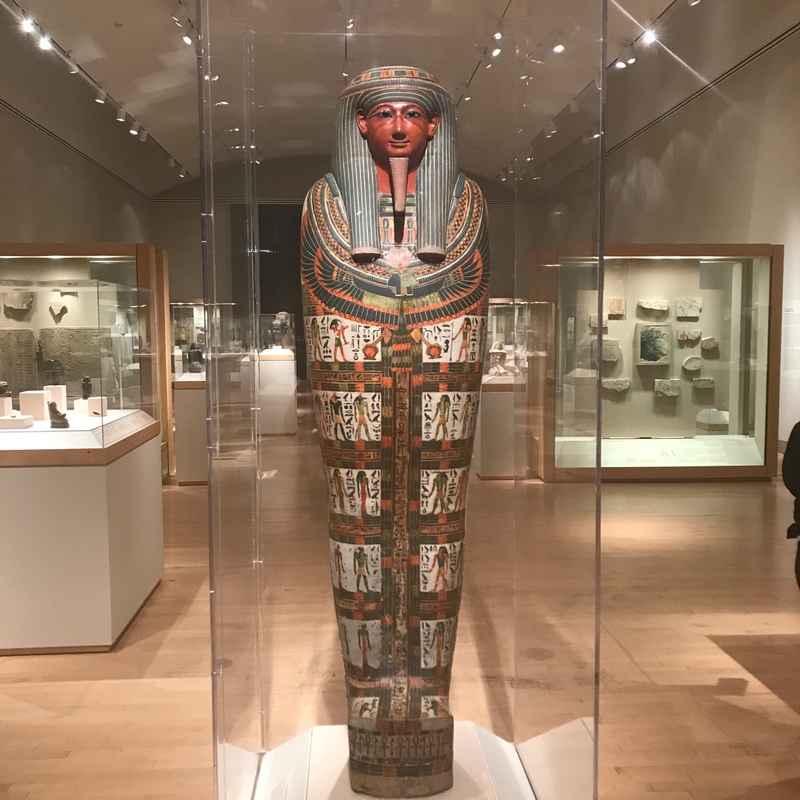 Its placement has a protective role and, like other elements on the surface, was intended to help protect the deceased in his journey into the afterlife. What is that on its chin? It's a beard! 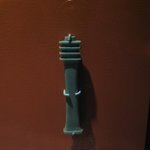 This braided accessory with curl at the end mimics beards that the gods were believed to have and, here, connects Nespanetjerenpare to the realm of the gods. 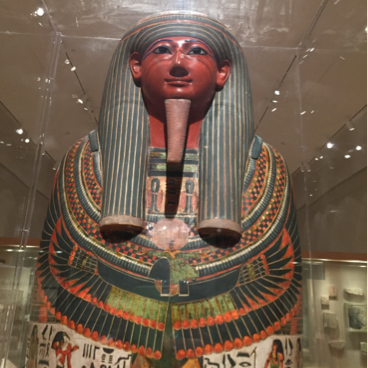 The ancient Egyptians believed that, if you successfully made the journey to the afterlife, that your soul would become a god. 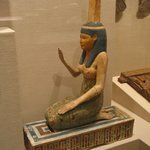 I liked the mummy but was the mummy a mommy? Hahahaha! 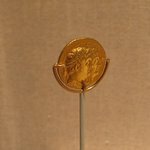 Nespanetjerenpare was a man, so wasn't a mommy! 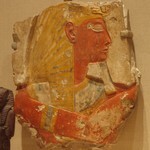 The red coloring of the face indicates that the deceased is male. He was probably a daddy! 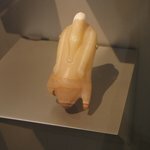 Nespaneterenpare was an important priest during his lifetime. He was one of those priests who were free to enter the sanctuary of a temple (a special duty). How thick is the cartonnage? Is it layered over wood or is it all made from linen and plaster? Cartonnage is not used in an incredibly thick layer. 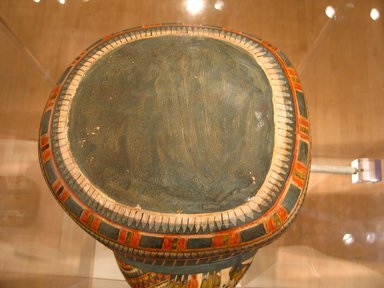 The material is made from linen or papyrus mixed with plaster, similar to papier maché. What you may think looks like wood is a support for an area were the cartonnage is damaged. This container is actually hollow. This is the Cartonnage of Nespanetjerenpere. 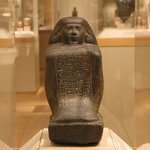 A high ranking priest of Amun, the main god during the New Kingdom and later. 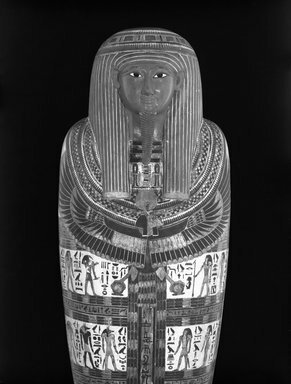 This type of container was used to identify, protects and transform the deceased. It assisted them in their journey into the world of the dead. 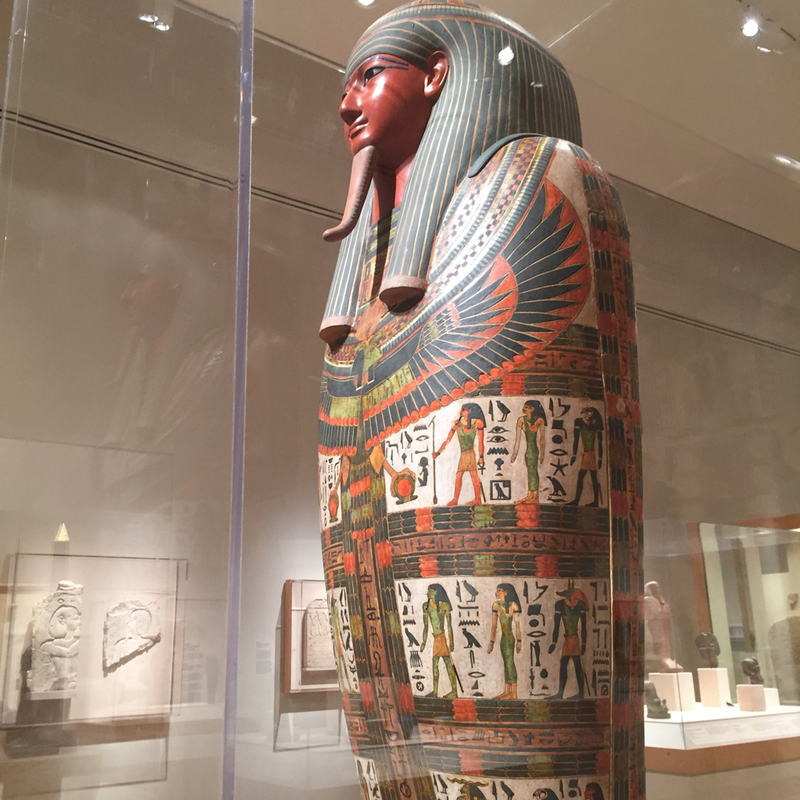 What are the two bird-headed gods on this mummy? That is the cartonnage of a man named Nespanetjerenpare. 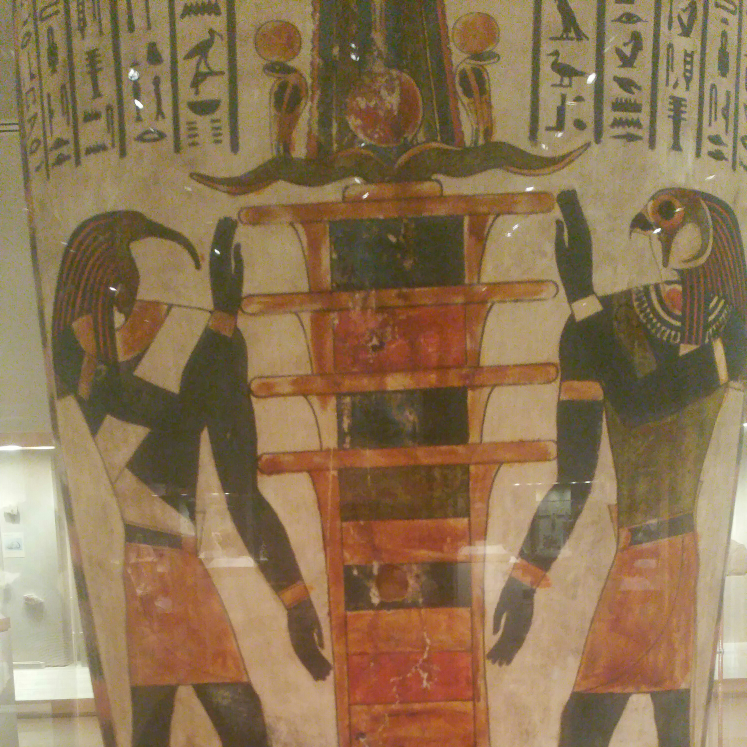 The gods you have photographed are Thoth, on the left, and Horus, on the right. Thoth was the god of wisdom and Horus was the god of kingship and other important aspects of society. 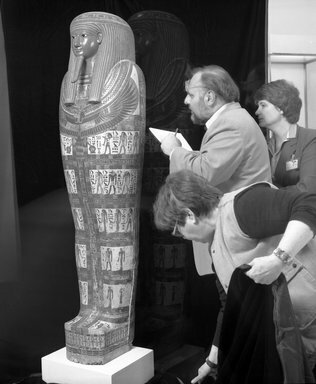 Together, they are tending to the hieroglyph "djed" which stands for endurance or strength and is also associated Osiris, the king of afterlife. Was that cartonnage repainted? It looks like it was just made. It's just really well preserved! The cartonnage has, of course, been cleaned, but the paint is all original. 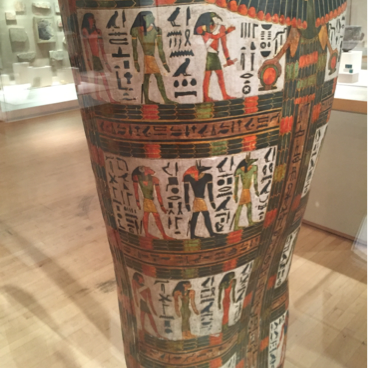 The dark, dry tombs in Egypt foster excellent preservation of artifacts and their coloring. 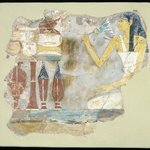 The ancient Egyptians used, primarily, mineral-based pigments which are usually quite stable so long as they don't chip off. You're welcome! 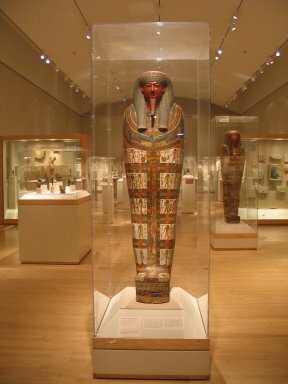 The statues of Metjetji, in another gallery of the Egyptian section, are also remarkably painted and are over 1000 years older than this cartonnage. Is there any significance for this object on his chin? 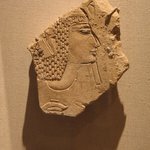 Did they have beards that look like this or was it simply an object? 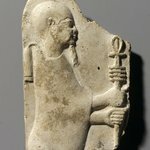 That is actually a false beard that was a related to the God Osiris. It wasn't representative of actual facial hair but would've been something that was attached to the face using a string. 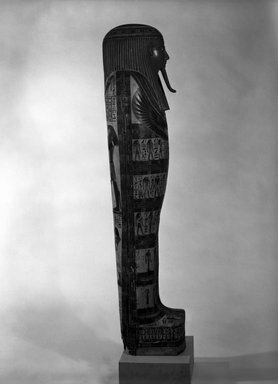 The curved beard was a way of linking oneself with Osiris, who was the god of the underworld. What would this attached beard be made of? Probably some sort of braided, dried fiber or the wool of a sheep. 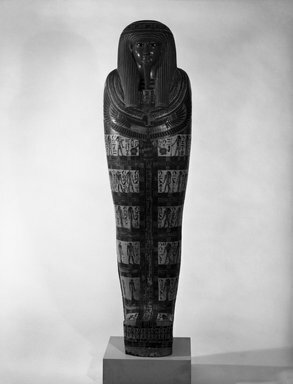 This is the Cartonnage of Nespanetjerenpare, a high ranking priest of Amun during the 9th century BCE. 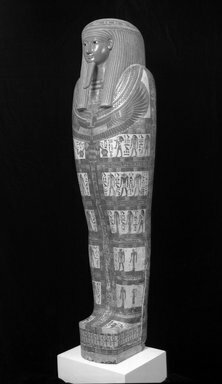 The highly detailed cartonnage is characteristic of a higher class individual, and the images are meant to identify, protect, and transform the priest in the afterlife. 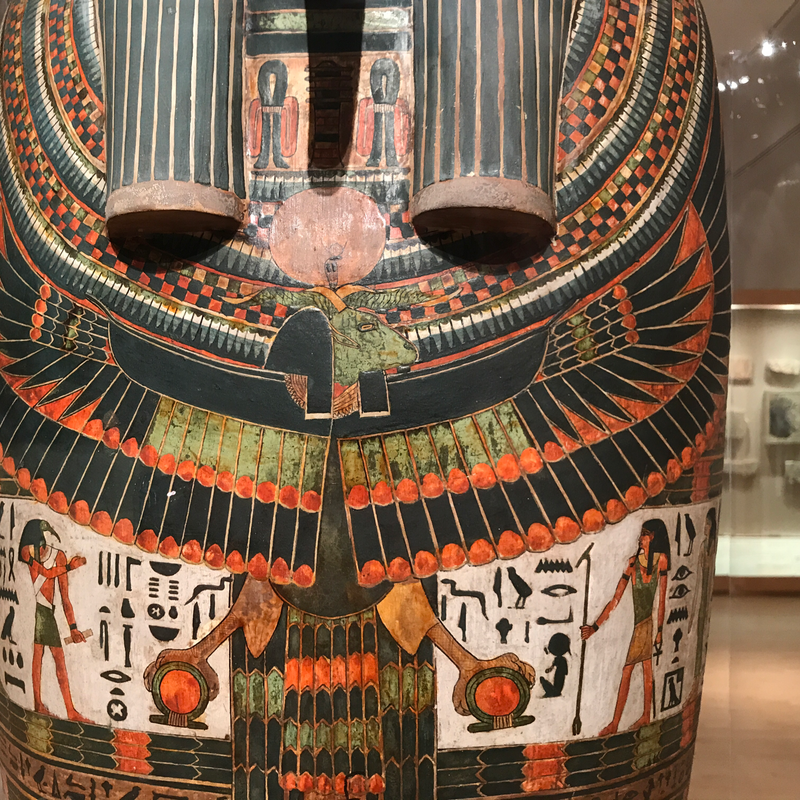 Looking closely you'll notice deities including the jackal-headed god of mummification, Anubis; the ibis-headed god of wisdom and literacy, Thoth; the falcon headed god related to the living Pharaoh, Horus; and the ram-headed creator god, Khnum. Thanks! You gave me Great imformation. What do you know about this beautiful cartonnage? 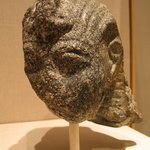 The owner's name was Nespanetjerenpare and he was a high ranking priest of Amun late in ancient Egyptian history. 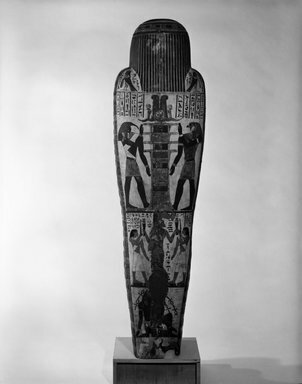 The front of the cartonnage is covered in protective figures and symbols. Like the ram-headed deity spreading his wings across the chest. 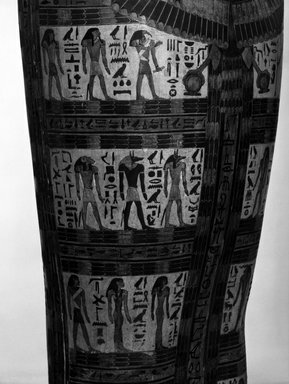 The back has larger images of deities assisting Nespanetjerenpare in his quest for eternal life. 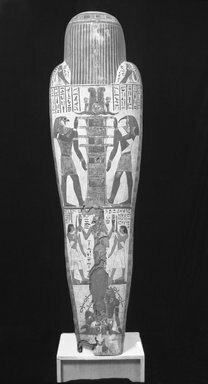 This cartonnage is the covering for a mummy of a man named Nespanetjerenpare. 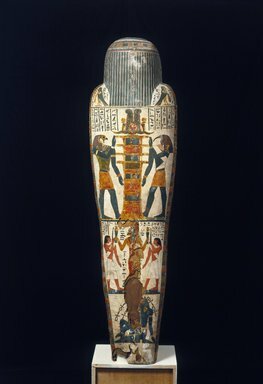 It is painted to tell us his name and title and to protect his mummy for his journey to the afterlife. 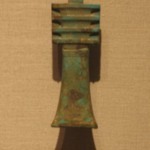 There are many symbols of protection on the front, like the ram with wings across his chest. All of the figures down the front are protective gods too. On the back, there are images of large gods who are helping Nespanetjernpare to achieve eternal life. 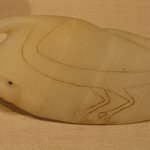 What is the animal head here and what does it signify? This is a ram's head on a falcon's body. 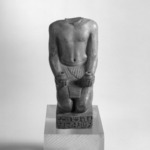 Here, it represents the god Khnum, an ancient Egyptian creation god. 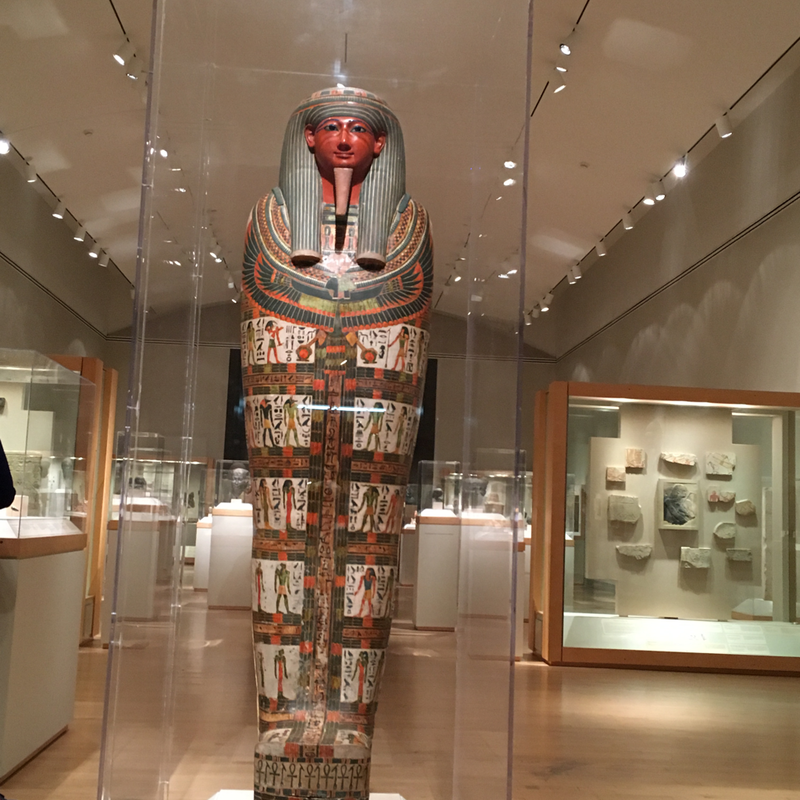 Is there a real Mummy inside it? Okay! I think you mean the one named Nespanetjerenpare. 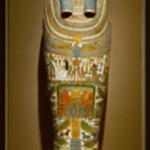 It is a real covering for a mummy called a cartonnage. 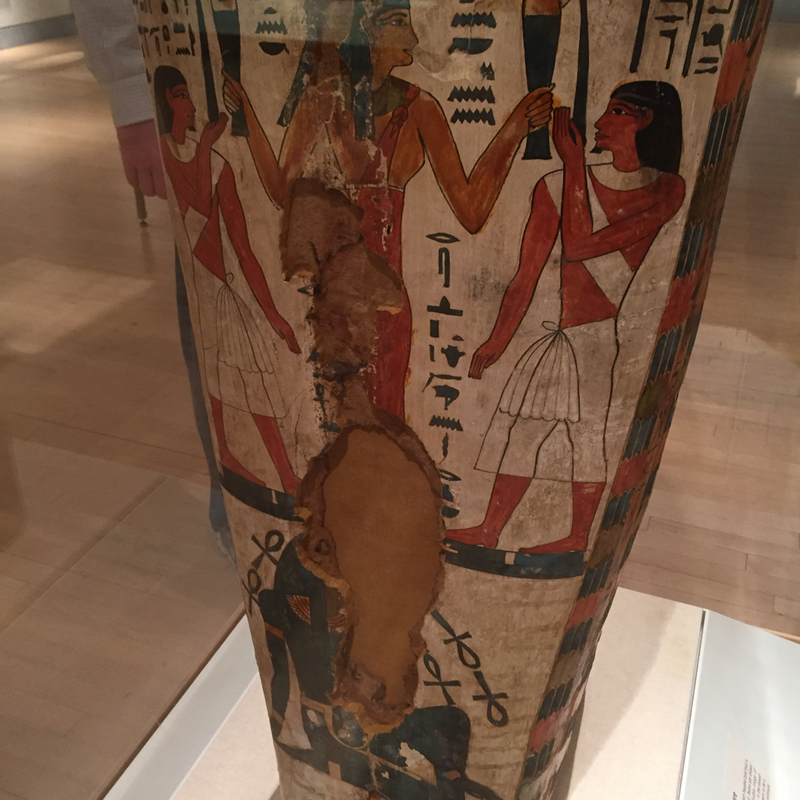 But the mummy is not inside anymore. We're not sure. 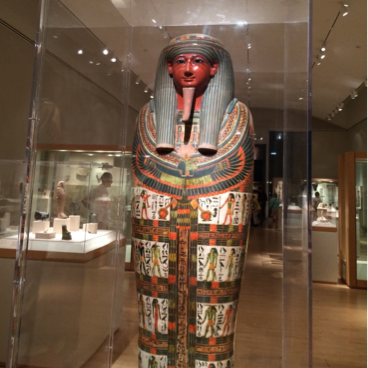 The mummy was not inside when the cartonnage came to the Museum. 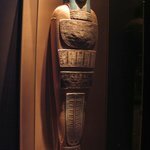 Is the face on the cartonnage real? It looks like a mask on the wall. It is a lot like a mask. The cartonnage is kind of like a mask for a whole body. 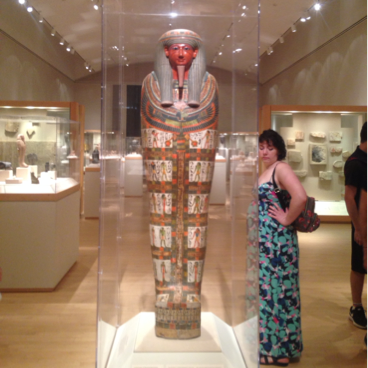 The ancient Egyptians used extra plaster on the face part of the cartonnage to make is smooth and shiny. 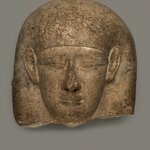 I’m 11 years old and I’m learning about ancient Egypt can you tell me a little about Egypt? I see you've found the cartonnage of Nespanetjerenpere. 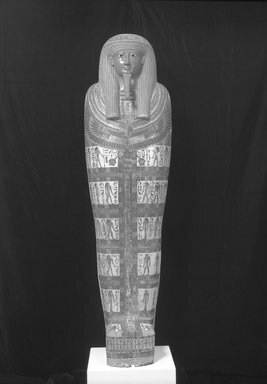 This cartonage is made of plaster and linen and would have been placed inside a larger sarcophagus. 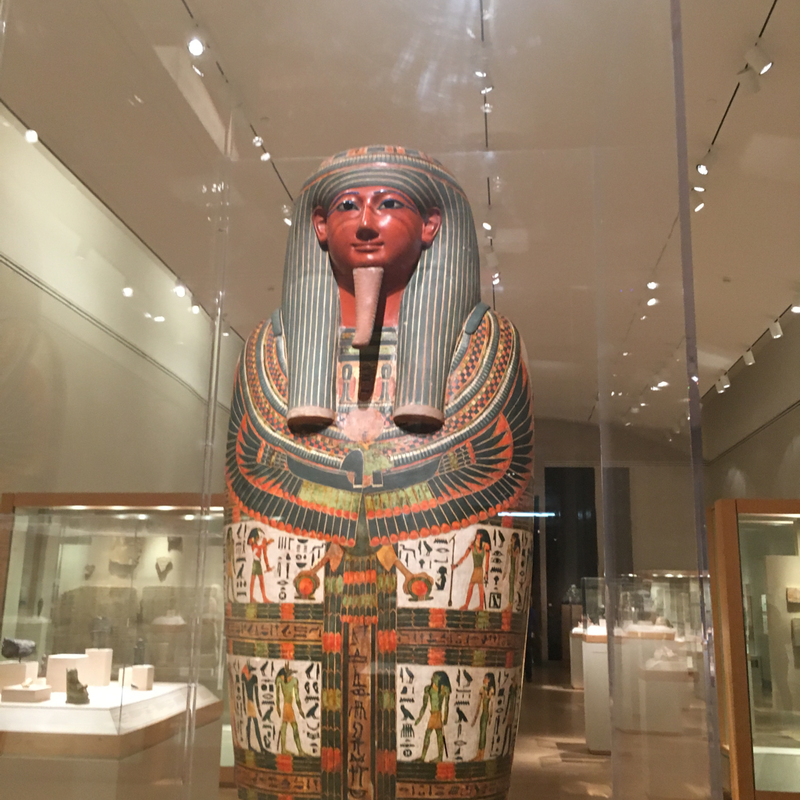 The ancient Egyptians believed the afterlife was much like this life, but before they reached it, they would have to overcome obstacles on the way. 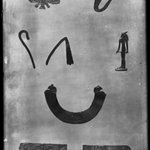 All of the symbols and scenes you see on this cartonnage would have helped the mummy on his journey to the world of the dead. If I wanted to write a paper about this, where should I begin? A cartonnage like this can be very overwhelming! I would definitely suggest discussing the function of a body container like this over all and then going one element at a time to discuss the iconography. 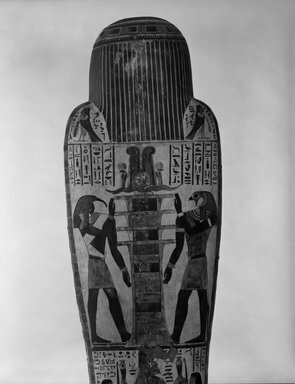 This type of container served to identify, protect, and transform the deceased assisting in their journey from the world of the living into the world of the dead. 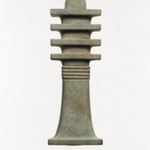 When I began researching this object myself I went from top to bottom, the front and then the back. Get up close and pick out some elements that stand out to you. 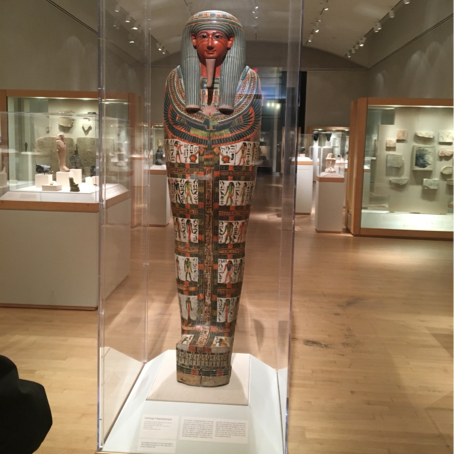 We were wondering if this cartonnage actually held a mummy and, if so, when something like is brought to another country, does the mummy also come? Is it common to get everything together? There are a couple pieces of information to consider here. 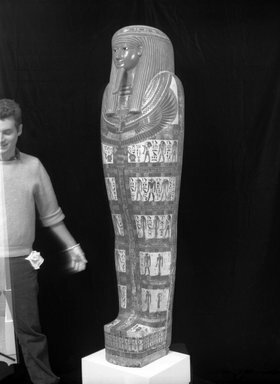 To answer your first question, this cartonnage would have contained the mummy of a man named Nespanetjerenpare. In his particular case, we do not have his mummy. 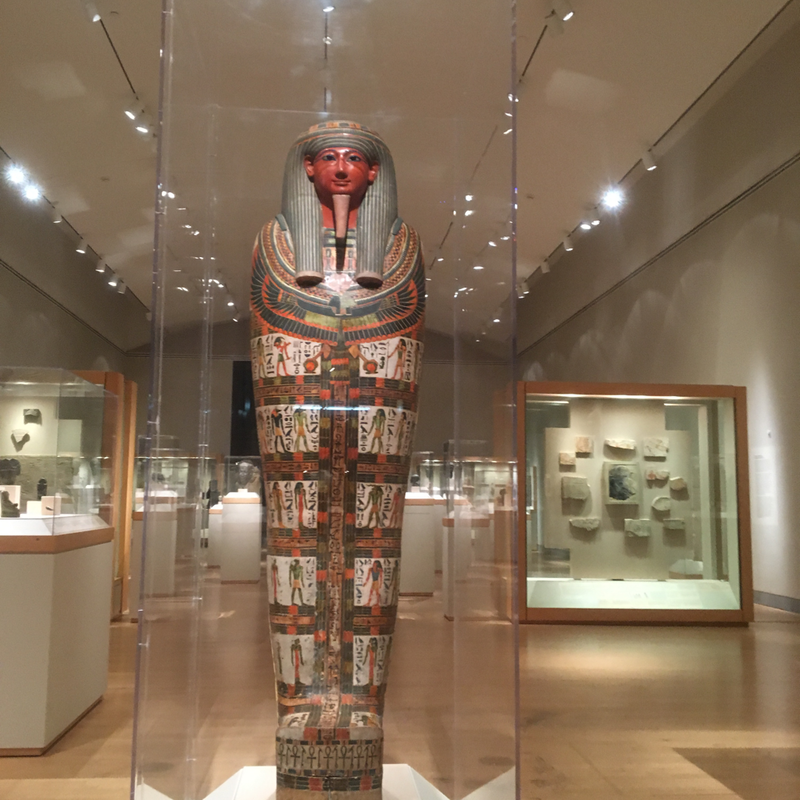 If the container and mummy were acquired together in Egypt at the time when it was still legal to export antiquities, they certainly would have traveled together to their new home. 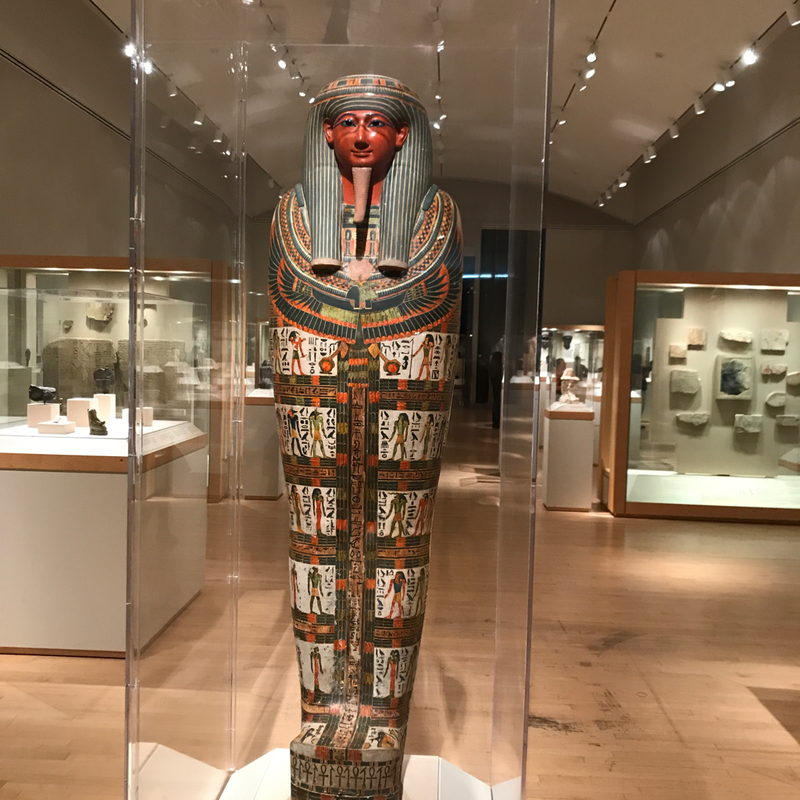 Similarly, today, a container like this and its mummy that are part of museum collections do travel together for exhibitions. 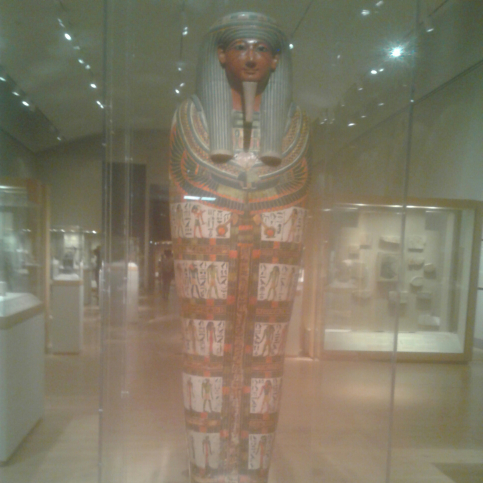 Still on this subject, are there religious specifications the museum has to follow for these mummies? I mean, does opening a cartonnage violate the original reason for it to exist? Scholars do try to be as respectful as possible of human remains. 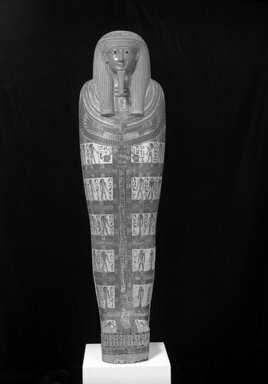 Especially with advancements in imaging technology, a cartonnage like this or a mummy would never be opened. 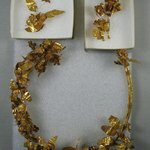 Rather, they may be CT scanned to gather more information. 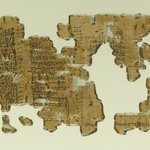 What do the gods on the mummy mean? Were they very important back then? 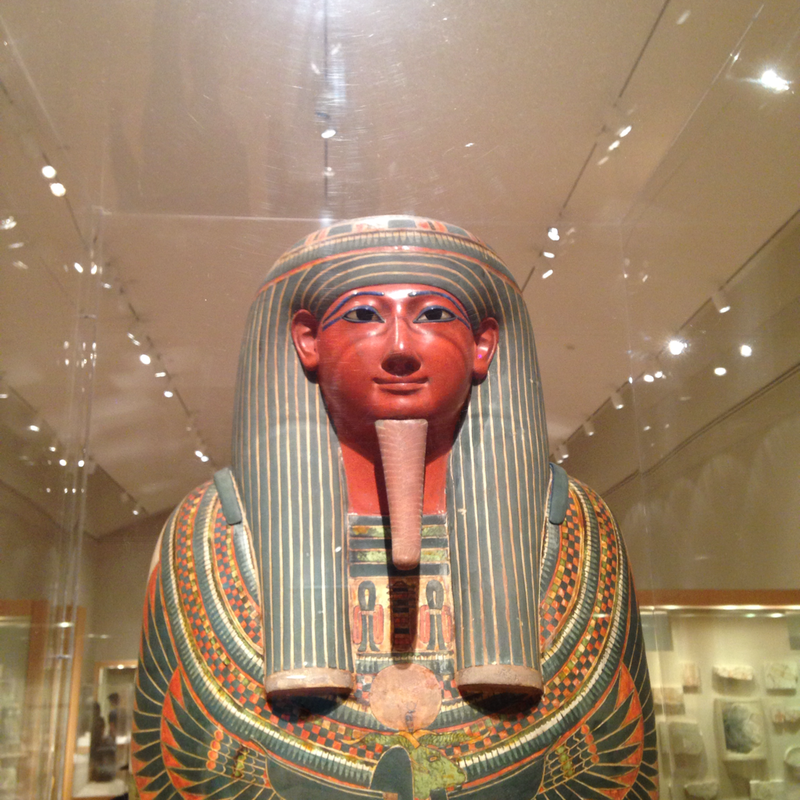 There were VERY many gods in the ancient Egyptian pantheon, some more important than others. The gods you photographed are relatively minor. 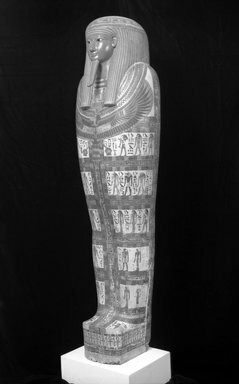 All together, here, they are meant to protect the mummy so that the soul can return to it to rest. 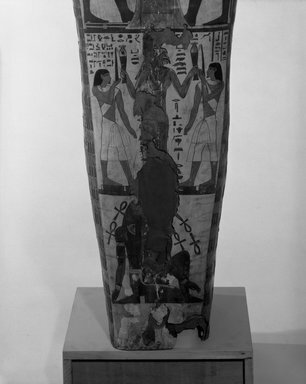 The larger figures on the back of this container are more major deities like Horus, Thoth, and Isis who are assisting Nespanetjerenpare on his journey to the afterlife. 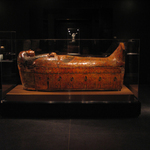 Cartonnage, a substance made of cloth or papyrus mixed with plaster and water, was used during the Third Intermediate Period to make an innermost case for the mummified body. 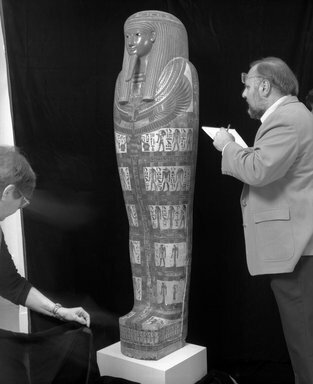 The mummy was inserted and the covering was then painted with funerary scenes and inscriptions and placed in one or more coffins, which had been decorated in much the same way. The decoration here was chosen to associate its occupant, the priest Nespanetjerenpere, with divine resurrection. 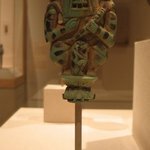 The ram-headed falcon on his chest represents the sun god's nightly journey through the land of the dead. 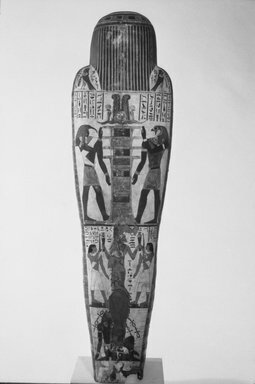 The small figures on the front represent deities aligned with various parts of his body, as described in the funerary Book of the Dead. 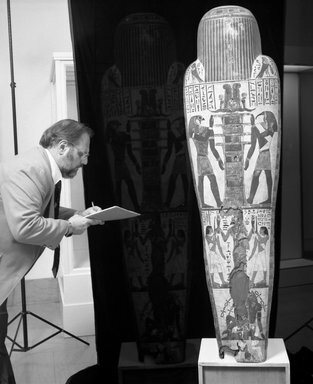 CATALOGUE DESCRIPTION Cartonnage of the mummy of a Theban priest Nespaneterenpera of about 1000 B.C. or the XXI dynasty. The mummy is missing. 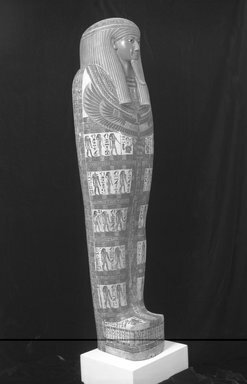 The head is covered by a large wig symbolizing divinity along with the braided beard. The face is painted bright red with the eyebrows and outlines of the eyes of lapiz lazuli, the eyes being of glass. 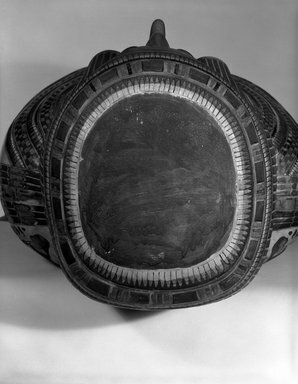 A pectoral is painted on the breast just above the large bull-headed bird covering the breast. 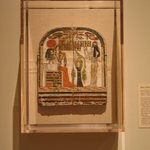 On the balance of the cartonnage are painted religious scenes describes in detail in the January 1937 issue of the Brooklyn Museum Quarterly. 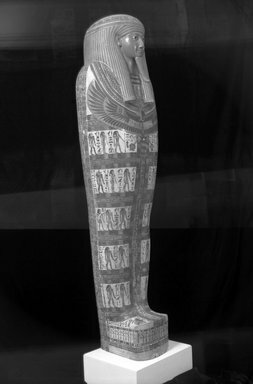 Nespaneterenpera was a god-father of Amun, one of those priests who were free to enter the sanctuary. 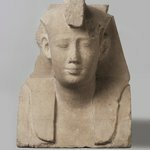 He had been a prophetof the fourth class of Amun of Karnak and also bore the special title of priest of Hermonthis. 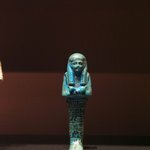 He was the son of Sin-a-Amun. 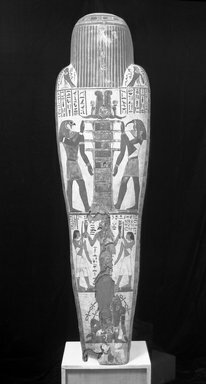 If the latter was the father of the Thoutemes quites in the celebrated inscription of Pinedjem II of Karnak, the date of the cartonnage would be the XXI Dynasty. 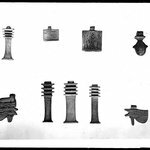 Condition: the lower part of the upper half of the piece has been exposed to dampness and some of the hieroglyphs have been lost. The band running around the feet has split and the bottom of the case (soles of the feet) is missing. The balance of the painting is in almost pristine condition. The case is in the usual two pieces. Part of the underside of the case is missing.